All of the Chilis grown at Fat Chili Farm are grown inside a glass green house and Polly tunnels. Currently Fat Chili Farm grows 1500 Chili plants, with 45 different species. How are Chilis' heat measured? 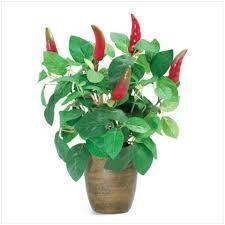 Chilis' heat are measured by Scoville units. Although each variety of Chili can quite easily be categorized into, mild, medium or hot, they aren't always consistently an the same rank on the Scoville scale. Fat Chili Farm's goal is to create locally made hot sauces (and condiments) that everybody can have and enjoy, from the extreme heat lovers to our less spicy customers. Fat Chili Farm also strives to find the balance between heat and flavour, to better serve our customer base, which is both diverse in taste and spice tolerance.